We’re thrilled to partner with Costa Rican Humanitarian Foundation on our immersive cultural trip to Costa Rica which offers participants a chance to fully invest in local communities during their travels. Over the course of four days while participants reside in home-stays with local families, they will travel to/from the village of La Carpio each day — historically Costa Rica’s most impoverished neighborhood, bursting with strong-spirited people determined to rise. In addition to typical ‘volunteering’ aid such as working on local projects like construction of homes or food, health and educational programs that align with the needs of the people, CRHF places a high priority on the education of the volunteer in order to provide in-depth knowledge, context and motivation that can transform perspectives and actions long-term. It’s truly an experience with the power to simultaneously impact both the local community and the traveler. We spoke with Gail Nystrom, CRHF’s founder and leader about the work and goals of CRHF throughout the years and into the future. Tell us about how CRHF started, when did it start what inspired you to found the organization? CRHF began in 1997 and is based in the rural community of Santa Ana, Costa Rica. The foundation works to improve the quality of life of the most vulnerable populations in Costa Rica and now manages more than fifty projects throughout the country, focusing on education, community development, primary and preventive health care, and extensive support services for women, at-risk youth and indigenous groups. All needs that the CHRF addresses are defined by the local populations, thus ensuring a high level of commitment to each of our programs. Through everything, we have the concept of doing things with intentionality and with a great amount of compassion and caring so that we build the self-esteem of the people and give them hope so that they themselves are strong enough to carry-on in their lives independent from our support. Tell us about La Carpio, the community that inspired the founding of CRHF. Finca La Carpio, where our organization started, is a 9 mile square piece of land owned originally by the Costa Rican medical system to be used as a recreational area for their members. Over thirty years ago, Nicaraguan immigrants came to the land and started to place plastic and corrugated tin shacks on it. Over the years, there have been an increasing number of squatters on the land and now, there are about 34,000 people living there. The Nicaraguans have arrived through the years for a variety of reasons including the devastation of a civil war, the destruction of natural disasters and the desperation of poverty that led to hunger. The people who came here are resilient, strong and resourceful. What are some of the projects that the Foundation has initiated within the La Carpio community? In what was once considered the most poverty stricken section of La Carpio, we have constructed an education and community center which has provided quality daycare for children whose parents work, weekly medical seminars, and high quality educational activities and workshops for women among many other activities. What used to be a sad, dirty, garbage strewn muddy lane has turned into a peaceful, colorful and hopeful neighborhood. To better youth education, we realized first that without a full stomach and a good night’s sleep, a child is not likely to fare well in a school setting. Thus, we have made and distributed over 4 thousand bunkbeds providing nearly every child in La Carpio a better sleeping situation through our “A Bed for Every Child” program. The workshop for the beds is organized by youth volunteers who are in recuperation from prison or difficult family issues, giving these youth experience with helpful job skills and providing an opportunity for them to give back to the community. In the year 2004, CRHF built a community clinic in La Carpio to provide health care for the community members. After initially seeing nearly 40 patients per day, in 2010 we were able to close down this health clinic since the government health care improved and people’s health stabilized. We now coordinate closely with the government clinic and assist them with health fairs and special needs. Here we see the ultimate goal of any NGO being met – transitioning out of a program so that local governments and populations can take charge of their own needs. As of 2014 the building downstairs where the clinic was set up, is now used as a library and early age stimulation center for children from the area. As a foundation, we have also supported women in the community as they dealt with past tragedies, post traumatic shock syndrome, abusive situations both personal and institutional and moved into the arena of hope, trust and belief. Now, the women are working at the top of the Maslow model of personal development as they create crafts to sell to interested volunteers and others. Several of the women have also formed a catering service for volunteers so that we can assure they have a good hot lunch after a morning of hard physical labor. Community members that worked closely with CRHF’s program development are now able to show others how to replicate our community service program, using our work in La Carpio as living laboratories. We have done extensive study of the concept of well-being and happiness as a measure of the success of a culture and believe that, although there are still difficulties, to a large extent, we have seen La Carpio become more of a model than a burden to the Costa Rican culture. What is the long-term goal of CRHF? I think that if an NGO is in a community forever, then that's not correct because it's not up to the NGO to meet the needs of the citizens of the country, it's up to the government of the country and the people themselves, and that's what's happening here. Our foundation will not be here perpetually unless it's to open a for-profit private school, providing jobs and education in a sustainable manner. Our goal is to make ourselves unnecessary. Our other long-term goal is to replicate the models that we have created and to continue to make the model more clear and more communicable. I think that once people understand the ideas, their own creativity will show them what they need and what to do. We have 6 schools and they're all different but they all stem from the same basic ideas. It's not chaotic, it's very organized but everyone has space to do it their own way. Much of CRHF’s mission is centered around it’s work with the volunteers and the impactful education and experience offered to those volunteers. Can you speak to those goals and what volunteers who work with CRHF can expect? Our volunteer groups are the mainstay of our work. They help us fulfill our first goal of supporting at risk populations but, in addition, we work together toward the second goal which is to educate volunteers so that they can have a deeper understanding and context regarding the work they do. Our organization works to provide a clear context for volunteers as they fulfill their commitment to us. We offer a challenging and interesting orientation program and follow up throughout the time the volunteers are with us. The goal of this component is to motivate volunteers to continue their commitment to service after they leave Costa Rica in a more informed and meaningful way. One of the richest parts of the CRHF volunteer experience is the Costa Rican homestay. Chosen for their commitment to and understanding of CRHF’s goals and vision, homestay families provide a stable and supportive environment for volunteers to come home to Volunteers can expect a private room, comfortable living conditions, laundry service, and good, healthy food at their homestay. These families are also a tremendous source of local and cultural knowledge, and are invaluable resources as volunteers learn to adjust to a different way of life. In addition, CRHF volunteers are a source of education, cultural awareness and enjoyment for the families, and allow for a powerful cultural interchange to take place. Families use their homestay fee to pay for education for their children, improve the quality of their diets, and make necessary home improvements. 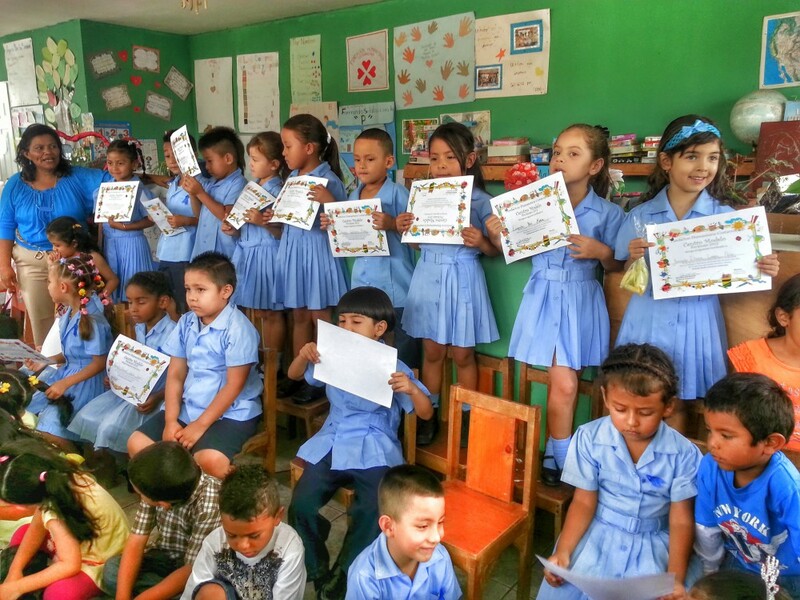 Want to get involved with Costa Rican Humanitarian Foundation? Learn more on their website here, or join us on our immersive cultural trip to Costa Rica and meet them in person!